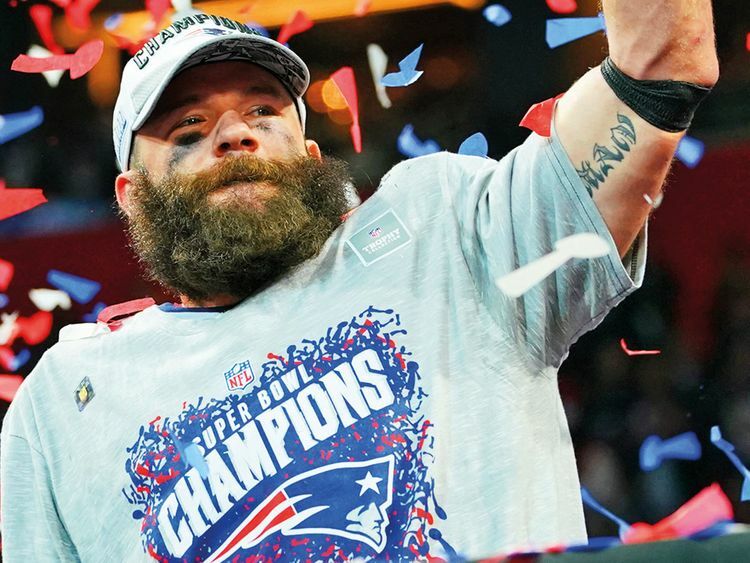 Atlanta: Julian Edelman was forced to watch only as a spectator as his disappointed New England Patriots teammates trudged off the field a year ago as Super Bowl losers. Edelman certainly did on Sunday night, earning Super Bowl MVP honours with 10 receptions for 141 yards while helping lift the Patriots to a 13-3 victory over the Los Angeles Rams. Even when things weren’t working early for the Patriots, Edelman kept the offence going and the clock rolling as a safety valve for Brady. Eight of his catches were for first downs, including a 13-yard grab during the go-ahead touchdown drive with 7 minutes left in the game. “I mean, injuries are psychologically so hard for an athlete because you don’t get to do what you love to do,” Edelman said. “When your team’s going out there and playing in the Super Bowl and you don’t get to help or you were not a factor, it was definitely very tough.” Brady had won four of the MVP awards in the Patriots’ previous five Super Bowl victories.